Misdiagnosed neck pain is one of the main reasons to explain the chronic nature of symptoms in a truly vast number of affected sufferers. Misdiagnosis is an epidemic concern throughout the medical community and no where is it more of a problem than in the modern back and neck pain treatment sector. The explanations for why misdiagnosis occurs are incredibly varied and often terrible. When it comes to topics that I know lots about, this one takes the prize. After all, my pain was mistakenly diagnosed as coming from multiple different conditions over the course of the 18 years I sought treatment for the horrific and continuous symptoms I suffered in my young adult years. This important essay focuses on the terrific occurrence of mistaken diagnosis and its far-ranging effects on patient treatment and overall health. Many doctors rely on outdated and simply incorrect theories of anatomy and pain processes to make their diagnoses. Do you think that a doctor educated in 1960 might be missing a few things in their treatment arsenal? Constant revision in diagnostic and treatment recommendations is par for the course in the back pain industry. Many doctors adhere to a purely Cartesian philosophy when it comes to pain. Everything must be explained anatomically, even when the evidence is lacking, exaggerated or even purposely skewed to fit the pain condition. Few doctors understand and practice mindbody medicine, so the incidence of recognizing psychoemotional symptoms is almost nil. Doctors have become more business people than healers. Treatment is profitable, while cures are not. Cure someone and lose them as a customer. Treat them and you have a dependent slave for life. This is unconscionable, but true. The diversity of healing arts all view pain differently, leading to diagnostic eclecticism and therefore decreasing the chances of any of the theories being correct. 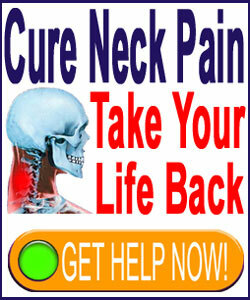 Ask 5 different doctors about the source of your neck pain and you are likely to get 3 to 5 different answers. Doctors are known to diagnose what they can treat. If a variety of doctors see the same patients, the physical therapist is statistically more likely to diagnose a condition which can be treated conservatively with exercise. A chiropractor is statistically more likely to diagnose issues which can be ideally treated with spinal adjustments and manipulation. A surgeon is more likely to find structural issues which require operative interventions. Come on, people, wake up. They are all trying to make money. There are certainly more, but this article might go on forever. Feel free to search misdiagnosis in the right column and you will find many articles relating to this sensitive subject. We would love to hear more doctors say: “I do not know what is wrong with you”. This would at least be honest and the least damaging verdict. After all, in most cases, it is the truth. So many care providers make diagnoses on the basis of subjective, partial, circumstantial or fabricated evidence. We have real respect for a doctor who is honest and will actually confess to not finding definitive sources of pain. Unfortunately, the pride and professional ego of doctors prevent this in most cases. They would rather find something, anything, to offer a patient to ensure a diagnosis, and therefore a new customer, that they might as well throw a dart at a board with different possible conclusions and pick one this way. If we had to settle on one of the greatest reasons for misdiagnosis, it is simply because most doctors do not consider or even understand psychosomatic neck pain. As Dr. John E. Sarno writes, the incapacity of modern healthcare providers to recognize the single greatest source of chronic pain is the most logical reason for the epidemic of these very same chronic conditions in our society. Well put, Dr. Sarno. Misdiagnosis is a very real and very common issue. You don’t think it actually happens? Statistics speak otherwise. In our experience working with tens of thousands of you, each year, over many years of time, statistics show many are misdiagnosed, suffer unneeded and often permanently damaging treatments and few truly recover completely from their pain. If the treatments were actually targeting the right source of pain, they should, by all accounts, work well; but, they do not. Therefore, it is easily concluded that the most simple and sensible explanation is that the diagnosis is wrong all along. It happened to me, year in, year out, for almost 2 decades. What makes you think it is not happening to you right now? 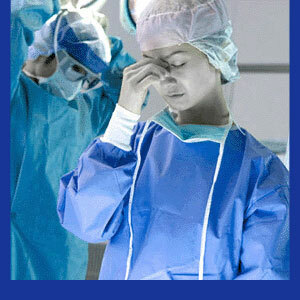 I discuss the epidemics rate of medical error in my book Back Pain Misdiagnosis. This book is just one of many titles that work to prevent, manage and cure neck pain as part of our proven Cure Back Pain Forever Program.